If I asked you where great wines come from, you might answer France, Italy, California, or even South America. However, I'd bet nobody would say Slovenia. Slo-what? Slovenia, a small country nestled along Italy's northeastern border. Along the Slovenian side of that border lies the Primorska region, essentially a continuation of Italy's famed Fruili-Venezia Giulia. Slovenia's winemaking history dates back centuries, but they are just starting to make some noise here in the U.S. 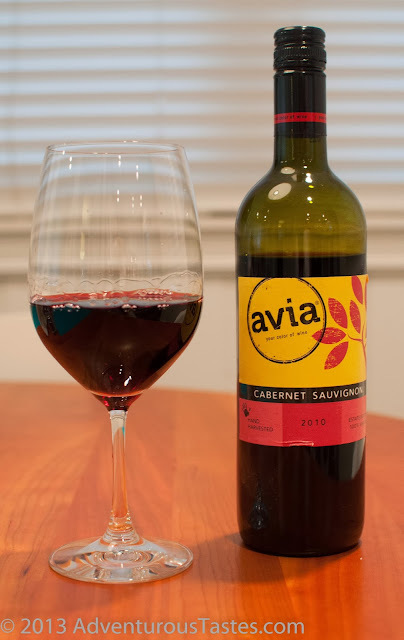 Thanks to kind folks at Laureate Imports (and our friend Robin at The Amateur Gastronomer) we got a peek at wines from Slovenian wineries Avia and Colliano. As an aside, the backstory of Laureate Imports as an arm of Coca Cola Trading Co. during the Cold War is pretty interesting. You can read about it here. 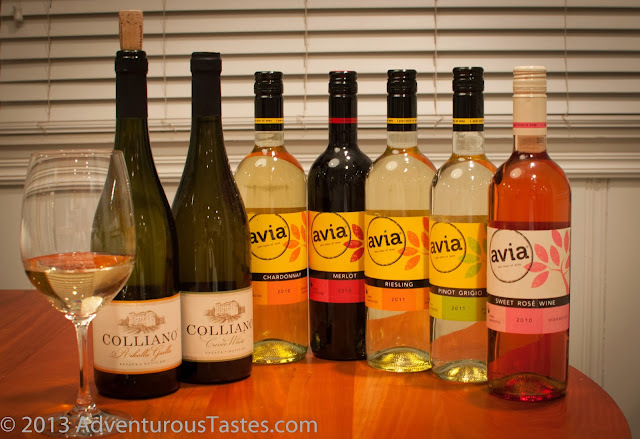 Avia offers a full range of whites, reds and even a rosé, all of which are easy on both the pocketbook and taste buds. Their Cabernet Sauvignon, pictured below, is smooth, not too tannic, with a decent bit of fruit. It's not quite the deep, ruby red of your typical California cab and so may not stand up to heavy foods quite as well, but for around $10 it's a pretty darn sophisticated wine. Much the same could be said for their Merlot, which could almost pass for an Oregon pinot noir. Among Avia's white offerings, the Sauvignon Blanc is where it's at. Citrus and tropical flavors take the forefront, while the grassy notes that often define sauvignon blancs are left on the bench. It's a quintessential crowd-pleaser and a no-brainer for it's bargain price of under $10. Next up is Colliano, from the same region of Slovenia. Perhaps their most interesting wine is the Ribolla Gialla, a white wine made from 100% Ribolla Gialla, a grape that is indigenous to the Primorska region. Straw colored in the glass, the medium-bodied Ribolla Gialla is perhaps best described as creamy. A dry wine, it will pair well with chicken but has enough flavor to enjoy on its own. For around $12, it's a sure bet. Colliano also offers a couple blends, a Cuvee White and Cuvee Red (cuvee being a fancy word for, uh, blend) that are truly solid buys in the same $12-$14 range as the Ribolla Gialla. The Cuvee Red is a blend of equal parts of Cabernet Sauvignon and Cab Franc, with the last 30% Merlot. The Cuvee White blends equal parts of Chardonnay and a grape called Sauvignonasse (known as Friulano across the border in Italy or Sauvignon Vert in France) and rounds out the last 40% with Ribolla Gialla. At last check, Avia and Colliano wines hadn't hit retail shelves in Georgia, but that will hopefully be changing soon. In the meantime, you can check out the Avia site for a list of distributors around the country.